Car engines create a great deal of energy by burning petrol or diesel. Some of this energy is used to move the vehicle forward (around one third), the other two thirds of the energy produced is converted to heat. Around half of this heat goes out of the exhaust, whilst the remaining heat remains inside the engine block. Car engines need a way of cooling down else they will continue to increase in temperature until the working metal components inside will begin to literally melt, fuse together and the engine will seize. Engine coolant is a water based liquid that absorbs the heat from the engine. The engine coolant becomes hot itself and so is transferred to a radiator located at the front of the car. Veins in the radiator contain the hot coolant which air cools as the vehicle moves forward. Airflow through the veins is maintained by a fan if the vehicle becomes hot due to being stationary for long periods. A significant number of engine failures are attributed in some way to engine cooling problems. To ensure the engine is kept at an optimal running temperature, engine coolant is used. Commonly seen as a green colour as the bottle to the right suggests, engine coolant is a mixture of water and antifreeze. Engine coolant or antifreeze does in fact come in a variety of colours from green, yellow, pink, red, or orange. The colour of the engine coolant does not necessarily indicate a specific type. Antifreeze is a combination of distilled water and a type of alcohol. Ethylene glycol, or a more recent, less hazardous additive, but far more expensive propylene glycol can also be used. Antifreeze has many benefits to the engine cooling system. The chemicals in antifreeze have huge benefits, and not only in winter. As the name suggests, antifreeze prevents the coolant inside your engine from freezing under normal winter conditions. In case you’re asking ‘what temperature does antifreeze freeze, water freezes at 0° C, or 32° F. A mixture of 50% water and 50% antifreeze will freeze at around -37° C or -35° F.
Antifreeze also raises the boiling point, water boils at around 100° C, or 212° F, increasing this temperature will benefit a hot engine as boiling water can damage an engine. A 50/50 mixture of antifreeze and water will begin to boil between 240° C and 270° C (464° F and 518° F), although the exact boiling point depends on the pressure of the mixture in the engine. An obvious question might be, can you use 100% antifreeze? water is in fact the catalyst that makes antifreeze work. 100% antifreeze actually has a much higher freezing point at around -20° C or -5° F, compared to a 50/50 mix with water. What else does antifreeze do? Over time, engine coolant breaks down and becomes slightly acidic. This can in turn make the coolant becomes electrically charged. Not by much, but a current of 0.20 volts or more can begin to corrode the internal metal components of the engine. Aluminium is particularly susceptible to corrosion from electrolysis. Often by the time antifreeze or engine coolant electrolysis has occurred it’s too late as by this time the engine is leaking. Changing engine coolant based on the retailers recommendations will prevent this type of electrolysis. Coolant is the liquid that circulates around the engine and antifreeze is usually a concentrate of glycol that requires dilution before becoming the coolant. Antifreeze can however be purchased already as a diluted mixture of 50% antifreeze and 50% distilled water. 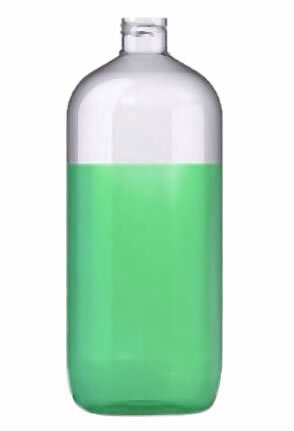 Green antifreeze– For a good many years, there was only one type of antifreeze that you could get, the standard green. As technology moved on however, various types of other products entered the market. OAT antifreeze – Organic Acid Technology (OAT) is an extended life antifreeze that lasts for around 5 years in the vehicle compared to the original green that lasts for around 2, to 3 years. Hybrid antifreeze – Basically a combination, or the best parts of traditional antifreeze and OAT antifreeze. Also referred to as HOAT, the product is beneficial as it offers good coolant to coolant compatibility. OAT antifreeze is not compatible with conventional antifreeze, making hybrid or HOAT and excellent top-up formula regardless of the type of coolant already in the engine. Your car owner’s manual should contain this information. If you do not have an owner’s manual, a car dealership who deals specifically in the make of your vehicle should be able to offer advice. Car accessory stores can offer advice on the correct antifreeze for your vehicle. It’s important to check your engine coolant levels regularly, if possible weekly. The coolant system is a sealed unit that constantly circulates the coolant to maintain a safe temperature for the engine. Therefore, coolant levels should not change too much and if they do, it may suggest you have a leak. 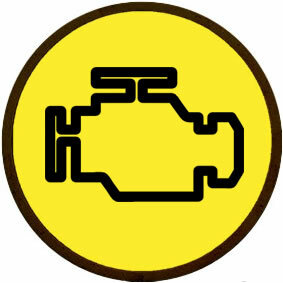 Low levels of engine coolant may cause a dashboard warning light to illuminate. Frequent engine coolant checks may enable you to discover and deal with a leak at minimal cost compared to overheating and breaking down whilst on the road. An overheating engine can potentially gain substantial damage, even to the point it becomes economically irreparable. The coolant reservoir allows you to check coolant levels by visually comparing the coolant level to the minimum and maximum markers on the tank. To replenish coolant levels, the cap simply needs to be unscrewed and securely fastened once levels are maintained. Coolant can get very hot and high engine pressures can cause coolant to gush from the tank to potentially scold. The sudden release of pressure may also damage the engine. To avoid this, ensure the cap is only removed when the engine is cold. Also, when the engine is hot, coolant expands and will not give you an accurate reading. 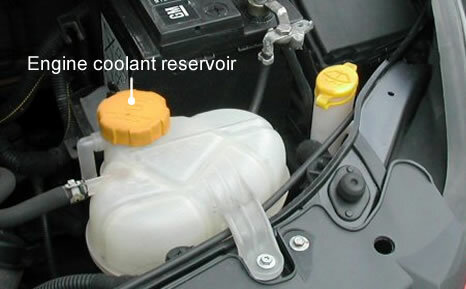 There may be other tanks that look similar to the coolant reservoir. It’s important you correctly identify the coolant tank as adding coolant / antifreeze to other reservoirs such as the brake fluid may have dangerous consequences. Consult your vehicle owner’s manual for advice if you are unsure, or consult a car dealer or repair service garage. A 50% mixture of water and 50% antifreeze is often the required amount. Some antifreeze containers that are purchased are a pre-mixed coolant already at 50/50. Check to ensure it is not already pre-mixed. Don’t be tempted to put a higher percentage of antifreeze, or even 100% antifreeze in your engine as this is likely to have a detrimental effect and cause damage to your engine. Under the bonnet of your car, you will see reservoir tanks. It’s important to know which tank contains the engine coolant. If you struggle to locate the reservoir tank, ask a family member or friend if they can help. A car servicing / repair garage will be more than happy to help. To give you a good idea what you’re looking for, the engine coolant tank is often located towards the front-end of the car and will usually have a coloured cap. Colours vary. 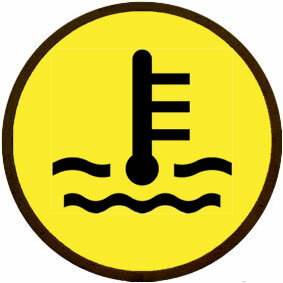 The cap may simply have ‘ENGINE COOLANT’ imprinted on it, or it may have a symbol such as those shown below in the images. You can purchase antifreeze or pre-mixed engine coolant from the internet, or any car accessory outlet store. A good branded antifreeze may cost a little more than a unbranded version, although due to the important role of antifreeze, it may be worth purchasing a good quality brand. What I’d you have replaced the coolant with just water? Is that safe or advisable? If there’s a possibility of your engine overheating and normal tap water is all you have, then yes use it. If it’s not, then it’s advisable to use proper engine coolant. Engine coolant has de-ionised water which means it has minerals such as calcium removed which will clog the system over time. Antifreeze also highers the boiling temperature which is another benefit. If the level is above full is this dangerous to the engine? Reservoir tanks have an overflow pipe which allows excess fluid to drain out onto the floor, so it shouldn’t be a problem. You have a leak in your cooling system – it’s made partially by air and by water. It’s the water leak you need to get sorted. I have an Astra sxi 2002.all the normal lights come on and go off as they should. Also the radiator light comes on and goes off when started.is this also normal? As long as the light goes out shortly after the engine has started then this is normal. It would help you get to a place where you could get antifreeze but any more than that is not recommended. Water has a freezing point of 32 degrees and as it expands it can cause serious damage to your engine. The boiling point is also 212 degrees and can equally cause damage to your cooling system if it boils over. Do your best to maintain a mix of 50% water and 50% antifreeze (Ethylene Glycol). Good day. My Mercedes c200 2004 model had the coolant bottle replaced. When driving with air conditioner on at times there is an Amber radiator like display warning. What could this be? is this related to the coolant fluid level ? If coolant levels are good, then it may be a faulty sensor and will need to be checked. Please can you tell me what engine coolant I need for my 2014 Suzuki Alto? Either green (long life) or blue (super long life) will be fine, but if you’re topping up, avoid mixing and use the same coolant which is already in there. Have a search for ‘Vauxhall approved antifreeze’ and it should offer you some options to choose form. It’s best not to mix and if your coolant is getting old, it may not be doing its job too well. You’re probably best off to drain the old coolant and replace with new. Have you checked your engine coolant level to see if it is running low? If the level if fine, there may be other issues such as a failing water pump for example. If the engine appears to be running hotter than it should, it would be a good idea to have it checked out else it can result in breakdown and engine damage. Hello, if you take a quick internet search, you can find coolant specific to Hyundai and universal for all of their vehicles.